In 2010, there were 21 new posts, not bad for the first year! There were 188 pictures uploaded, taking up a total of 82mb. That’s about 4 pictures per week. The busiest day of the year was October 5th with 161 views. 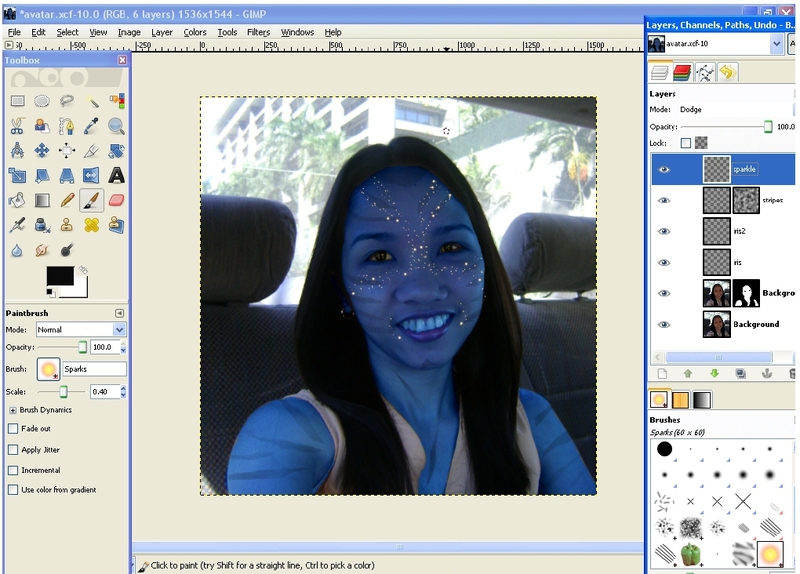 The most popular post that day was Make your own Avatar with #GIMP. The top referring sites in 2010 were stumbleupon.com, itsmeela.wordpress.com, gimpusers.com, facebook.com, and google.com. Some visitors came searching, mostly for cartoon effect gimp, gimp cartoon, gimp cartoon effect, gimp cartoon filter, and gimp picture insidea bottle. This entry was posted on 01/03/2011 at 8:41 am and is filed under GIMP. You can follow any responses to this entry through the RSS 2.0 feed. You can leave a response, or trackback from your own site.